If a green tea is judged only by how umami it is, a lower grade than Tea Hong’s Anji Baipian* Supreme may already top the chart. 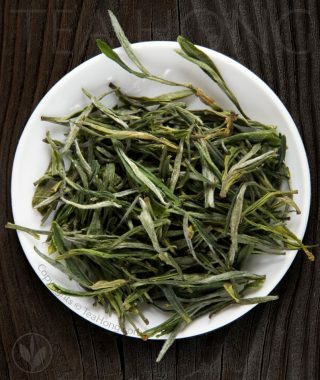 The grace of this top quality of one of the most sought after name in green teas is not measured only by its savouriness, but its silky smooth body and elegance in its taste character. Perhaps that is why the small county of Anji is never producing enough to satisfy the demand from the growing affluent class in China. That said, it is good to see a small counter trend against the taste of expensive vulgarity in that vast population. Huangshan Maofeng green tea is a must-have souvenir when one visits Huangshan. 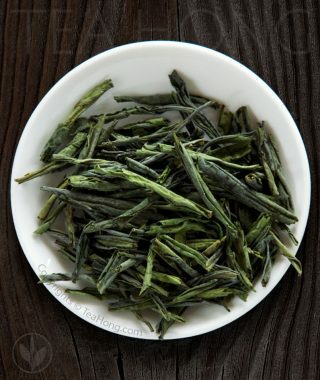 However, even if you know the way to real teashops rather than tourist traps, a pack of such quality as Tea Hong's Cuiyu would come at a high price. That is why this pleasant tasting and slightly sweet baked green tea is a most popular item not only for our retail, but also export. To maintain consistent high quality, we employ only harvest before the lunar almanac demarkation of “guyu” — the first rain for seeding, around early to mid-April. "Yuqian" — before the rain — is the traditional term for this. A very special tea bush — Camellia sinensis cultivar Shidaye — makes this unique looking tea. Each and every tediously selected pluck is carefully flattened between meshes during the slow baking process. We select only the best of these top grades for the fresh, cooling and cleansing sensations that complete this tea's purpose in addition to being wonderful to look at. 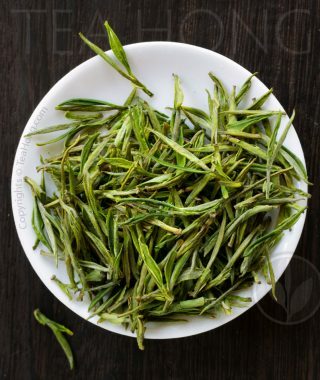 Unlike other green teas that are prized for plucking early in Spring, leaves of Da Guazi need to be quite open in order to make a fine Luan Guapian. This gives the proper biochemistry that yields enough pectin for the tea's signature velvety texture and slightly sweet character. This unique nature is possible only with a special local cultivar — Da Guazi — Big Melon Seed, hence the funny name. 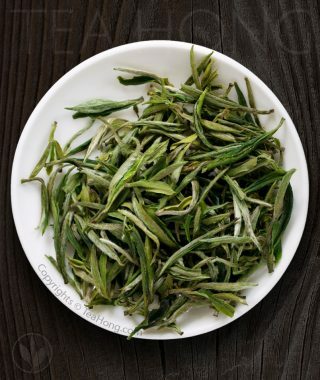 If Longjing is too savoury and Taiping Houkui is too "green" for you, Lu'an Guapian is a great alternative of high quality with a different, yet pleasant and lively character. Huangshan (translate: Yellow Mountain) is an UNESCO World Heritage Site and a China national conservation. Besides beautiful sceneries, it is also the origin for many a fine teas, such as Huangshan Maofeng. 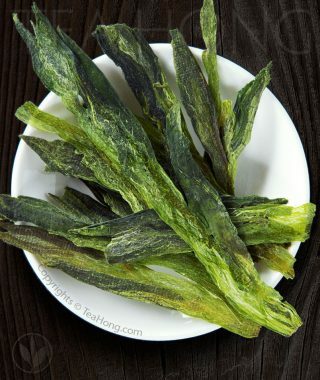 The tender young leaf shoot to make Huangshan Spring Equinox is always plucked with one or two tiny immediate leaves. A much sought after green tea amongst connoisseurs worldwide.